LED strips for easy mount on RC Cars. Extremely bright LEDs which gives the coolest light and has low power consumption. 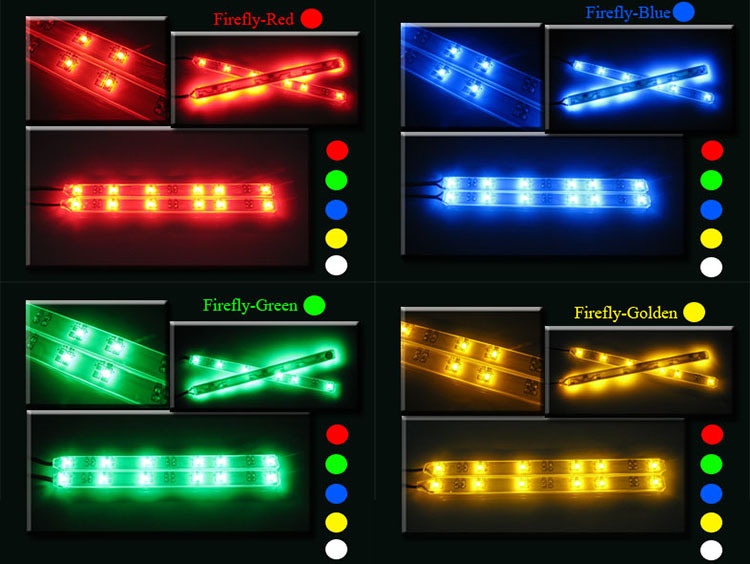 Firefly LED Strips are easy installed with 3M tape on your RC Car body or chassis. The LED strips connects directly to your receiver. Choose color above.